Hello over there. Allow me to show my appreciation for your time… so, thank you very much for this interview. I really acknowledge your effort to take a break from your activities to answer my questions. Please, introduce yourself to our readers. I´m Magnus, Vocalist of Hyperborean. Also in the band is Andreas who plays guitars and bass. Then there is Fredrik who handled the drums on our latest (and also on our previous) album, although he does that as a session drummer. So at the moment there are two members in the band. Hyperborean has just released its latest album named Mythos of the Great Pestilence, now in 2014. Please, tell us a bit about it, how it differs from The Spirit of Warfare, the lyrical content as well as the musical aspects of this album. Also, even though it’s a bit early, I think I can ask this… how has been the reaction from fans and critics? Yeah, it´s a very different album compared to TSOW. I pretty much feel that we have improved on every aspect of the music. The songs are better structured and they have become allot more complex and technical and the music has become more chaotic and aggressive, in a good way. I also think Andreas has developed greatly as a song writer since the last album. It used to be that he was more of guitarist who wrote riffs and then tried to arrange them into songs after the fact. Now I believe that he thinks more as a composer of music, seeing the entirety of the song beforehand and having a much stronger vision for the music. As for my part, I’m happy with how the vocals turned out, I think they are much better than on TSOW and it took a great effort to get them as harsh as they turned out to be. Well it’s just been out for two weeks as I’m writing this so we haven’t seen to many reviews yet but the ones we have seen have been very good so I hope that continues. In a way connected to the previous question, I’ve read an interview with the band in which it was stated that you don’t really walk around thinking about other people listening to your music. But, in a way, you must feel pleased when you realize that people enjoy your art. What are your feelings and thoughts when you get to know that people like your music? Well yes of course it’s nice if people appreciate what you do. But the only time I really notice what people think is when the reviews for an album come out and those just come after the release. Since we don’t play live we don’t really get to meet that many fans, so in a way it’s hard to really gauge what people think of it, other than what is written in the reviews. But we hope that the new album can make some noise and get some people to notice it. I think it is so much better than TSOW it almost sounds like a different band playing. But you never know what will happen with it. 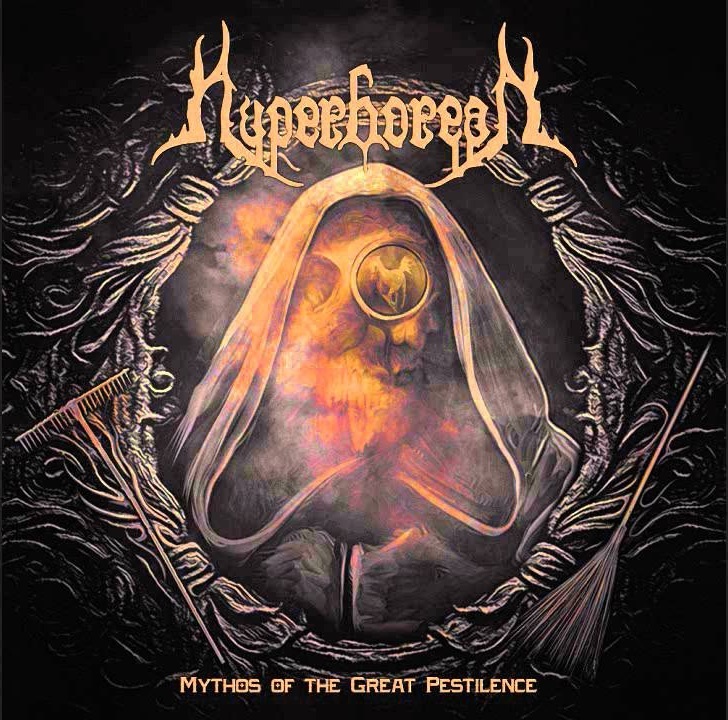 What are the main inspirations for Hyperborean when it comes to compose music and write lyrics? Is there anything that has inspired the band that the fans wouldn’t expect? Well I have a pretty clear idea about where the lyrical themes are going. 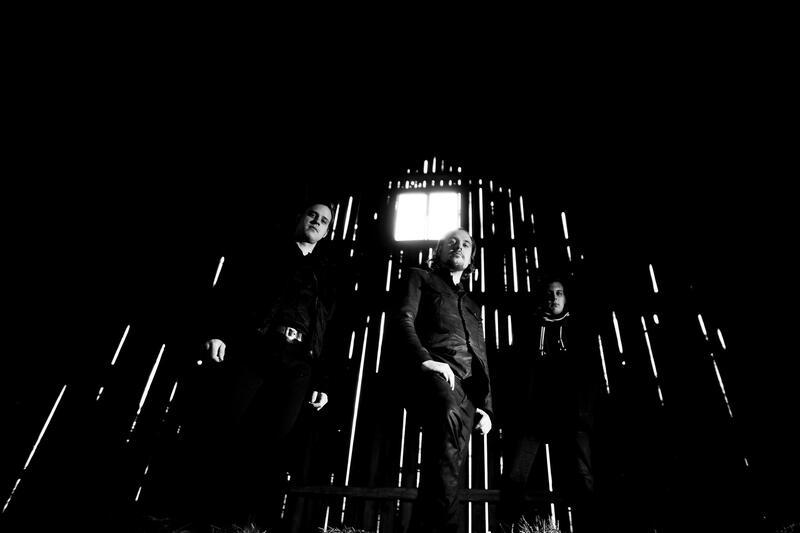 They might seem that they have changed allot, from all out warfare on TSOW to more philosophical themes, and of course the three songs that deal with the black death on Mythos, but they really haven´t changed much, at least not in my mind. The essence is always going to be mankind, what humanity is and what it isn´t etc. and that can be shown through themes of warfare, or how we act when faced by great diseases etc. They are being written with a broader theme in mind, which will be expanded upon if we do any more albums after this one, and if we don´t, then they will just be what they are. As for inspirations, for the Plague part I did research and both the historical facts and also in art that dealt with the Black Death. The influx of death in contemporary art is fascinating to me. As for other inspirations, the views of man and nature of Thomas Hobbes, the political writings of Machiavelli and Polybius found themselves in there in one way or another. Andreas on the other hand usually draws his inspiration from everyday life. So we are a little bit different in how we approach these things. But it all seems to come together in the end. Did you choose the band’s name simply on the fact it is about the mythical people who lived beyond the North Wind, as you’re Swedish, or are you also interested on the studies concerning Hyperborean, be it about the locations, esoteric themes, etc.? It was so long ago that we choose this name. At the time we thought it suited us well with the Nordic theme and us being Swedish and all that as you mentioned. Also I wrote lyrics that were based on Norse mythology at the time so I thought that a name with some mythological connotations would be good idea. But as we have pretty much completely shifted our lyrical focus since those days so it doesn’t hold the same importance any more. I’ve read many interviews in which you stated that the band didn’t play live (for a very long time). I’m not sure if you have played since the older interviews I’ve read. Well, having that in mind, do you think that Hyperborean will ever play live again? I wouldn’t rule it out completely. But a lot of things would have to happen before we tried to get a full band together. That is a hard thing to do, to get a stable line-up that you can trust in is not easy. Also I and Andreas live in different parts of Sweden these days, so that would add some problems. But if there turned out to be a real demand for us to play live, I mean, it wouldn’t be impossible. We have played live before, although that was a really long time ago. How long has the Hyperborean line-up been “stable”? How hard was to integrate the new musicians into the band? Were there many line-up changes in Hyperborean history? Yes there have been many many line-up changes to the band, to many to mention really. I would say it stabilized when I and Andreas just decided to focus on Hyperborean as mainly a duo. I think that was in 2008 when we were preparing for TSOW to be recorded. We’ve had some others helping us out, Fredrik on drums and Max who played Bass on TSOW. The core of Hyperborean exists since the year 2000. You are indeed experienced and more than capable to tell us how you feel about the differences on the metal industry for the last fourteen years. Not only about the industry, but the underground as well, has it become stronger with so many new bands being formed or actually weaker, since, unfortunately there’s a lot of mediocrity out there? This is a hard question for me to answer as we mainly keep to ourselves so I will just have to answer from our perspective on our band. It has gotten easier and harder at the same time. Writing and recording has never been easier than it is now. Us living far away from each other really isn’t a problem in that aspect as technology has solved those problems. Moneywise it’s harder now, the industry suffers from the lack of album sales, which mean labels can’t afford to finance studio recordings etc. And with how easy it is to record and release albums for anyone who feels like it, quality control suffers and a good album runs the risk of drowning in a sea of new (mostly mediocre) releases. And if you don’t have a big label backing you, it’s almost impossible to get promotion in the bigger metal magazines etc. But it is what it is, hopefully, if the music is good enough people will find it anyway, and if they don’t, well then maybe it just isn´t good enough. In addition to the previous question, concerning Sweden itself, the country isn’t one of the biggest when it comes to land are (on a world scale), but it has one of the most important and most massive metal scenes. How is the Swedish underground? Are the bands united and friendly to each other or is there a “war” among them? What do you have to do to stand out in such a competitive scene? Well this answer will be boring. I don’t know. We know a couple of bands but we don´t interact with them all that much. I don’t really know about any wars or anything like that and if I did, I wouldn’t bother with it. Waste of energy. All we try to do to stand out is to improve our music, that’s really it. Yes it was close a couple of times. After we released our second demo Thorns Scar Her Soul we got some interest from some bigger labels but we never signed anything since our lineup wasn´t stable at the time and we almost called it quits then. Also Between the third demo and TSOW there was the time where we went from being a full band to basically a duo. And actually right now has been a pretty tough period as our previous label, Abyss Records, had said, and they actually issued a press release, that they were going to release our new album. But they just kept putting it off all the time. After almost half a year of delays and excuses it turned out they wouldn´t release it after all. That process really made us kind of sour on the whole thing. So we will see if we can get the fire back. The positive times, well there have been many of those as well. But I guess doing the albums and getting the finished product, it´s hard to beat that after putting in years or work to complete them. This is the part where I always leave to ask the musician a bit about his or her personal life, nothing too intrusive, of course, simply what you enjoy the most doing when not playing music. Please, tell us some of your favorite activities, hobbies, anything you’d like to share with us. Any favorite movies or books? As I said, anything that you’d like to share with us, please. I like to read historical fiction. Conn Igguldens books on Caesar and Genghis Khan are good reads. My favorite book would be Röde Orm by Frans G Bengtsson, it’s a classic Swedish novel about the old Viking times, it´s really good, I think it´s called The Long Ships or something similar in English. Other than that I like to train some Brazilian Jiu Jitsu and grappling. That takes up much of my free time. And I always enjoy having a few beers with friends and listen to some good music. Alas we reach the end of this interview. Again I’d like to thank you very much for your time and answers. I also would like to wish you and the band all of the best. Do you have any last words for our readers? I would like to thank you for your interest in our band and this interview. It´s always good when you get an interview that has some interesting questions instead of the same old standardized sheet of regurgitated questions. So good job on that, I appreciate it. And to your readers, please continue to support this site. Platforms like this are invaluable for a small band to get the word out there. And also please check out Mythos of the Great Pestilence. You can find it on our YouTube channel (hyperborean we) or on Spotify or ITunes etc. 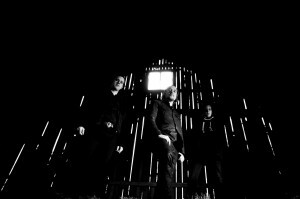 And check out our Facebook page at https://www.facebook.com/HyperboreanSwe ,ok I´m done plugging things now!